How much attention were you paying to the latest series on Dave? 1. In The Beginning we learn that Rimmer's real father's profession is...? 2. Which holiday does Lister celebrate with himself every year? 3. What book is Cat using as a makeshift weevil-bashing device in Entangled? 4. For whom does Jesus of Caesaria mistake Kryten? 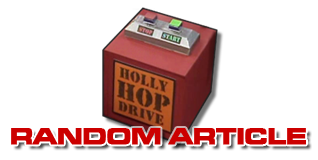 5. Who played a character in RDX that had previously been played in Series II by John Abineri? 6. 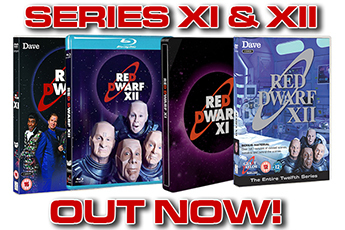 Which RDX guest had previously appeared in Red Dwarf VI? 7. What was "Hogey the Roguey" Richard O'Callaghan's previous Red Dwarf role? 8. Which Series X actor appeared in the film Superman IV alongside Captain Hollister, Mac McDonald? 9. 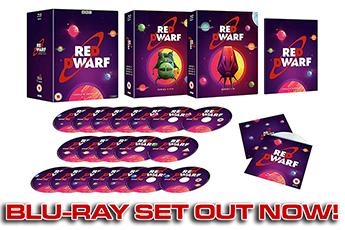 The Red Dwarf model that was re-sized for use in Series X was originally built for use in which series? 10. 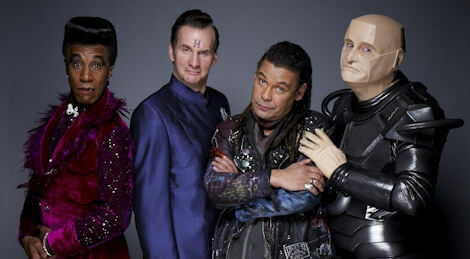 Which member of the Red Dwarf X production team had not worked on the show before? 11. Which Torchwood alumnus served as the warmup act on some of Series X's recording dates? 12. What was the original planned title of Trojan? 13. How many lemons did the gang need to power the Returner Remote? 14. In what year is the Swedish moose puzzle set? 15. How many "snack breaks" are included on Rimmer's Battleplan Timetable? 16. What "breast size" does Rimmer insist on choosing for Pree? 17. What is the correct sequence to disable the Groinal Exploder in Entangled? 18. What book is Rimmer reading when Hogey beams aboard the ship? 19. What is the nickname of the "Taste of Asia" vending machine? 20. Which pig is Lister betting on at the beginning of Trojan?